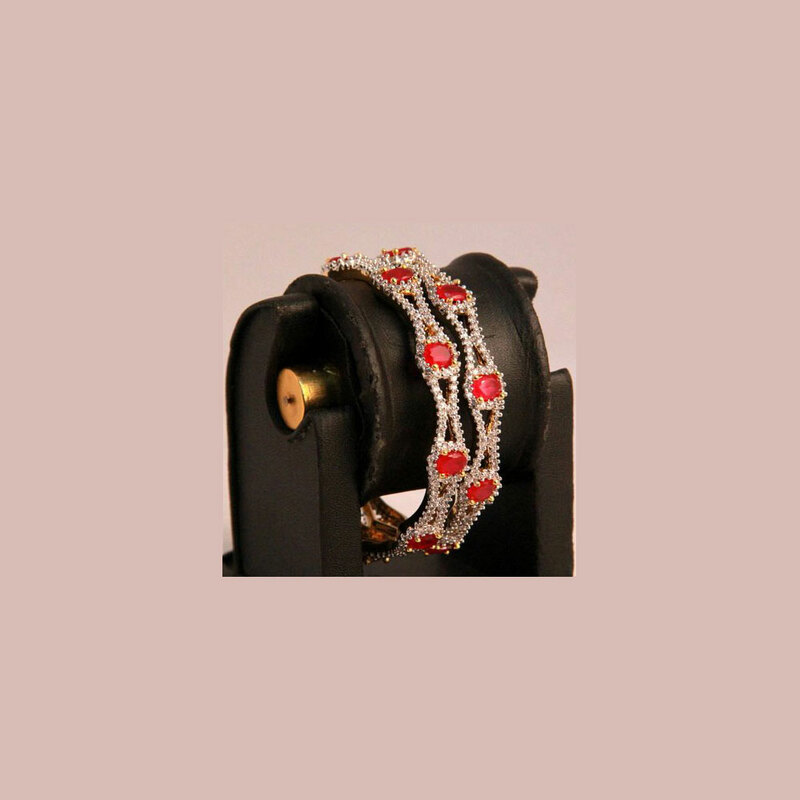 This elegant combine of bangles provides a sublime and attractive look with its distinctive style and lovely decoration. This elegant pair of bangles provides an elegant and mesmerizing look with its unique design and gorgeous decoration. The small white AD stones which have Read More..been set on the gold plated brass metal base have been beautifully complimented by the large red AD stones to further enhance the sophisticated look. Show Less.. 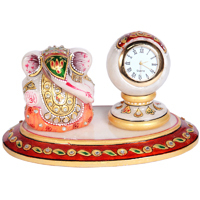 Both the Ganesh idol and the pillar watch are decorated colorfully and adorned with beads to enhance their elegant look and exclusive artwork further. 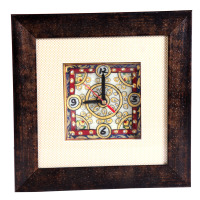 The intricate art work of the time piece combined with minakari.